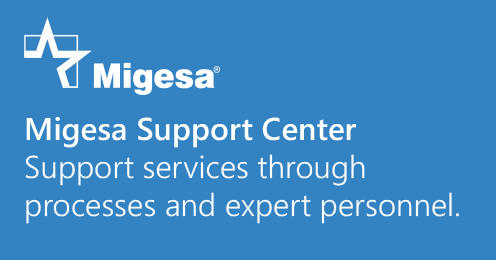 Migesa has a Center devoted to Support and Consulting in order to maintain maximum performance of your IT infrastructure; these services are provided through qualified and certified engineering personnel, who use the best practices and processes to support business solutions under the Microsoft platform. The Migesa Support Center is backed by Microsoft Premier for Partners for Level 3 and Level 4 escalations directly with the manufacturer (Microsoft). This offer is highly competitive and few companies in the market still offer it, due to the level of experience and certifications the engineering personnel is required to have. Advisory from expert consultants to resolve incidents. Operation 24 hours, 7 days a week, 365 days a year. Call Center/Help Desk Services resided and provided by the same company Migesa. *If so indicated at the time of recruitment. Support and communication with a great team of certified consultants in different Microsoft technologies with which you will be able to strengthen the level of service you hire upon any eventuality. Availability, scaling and backup of incidents directly with the manufacturer (Microsoft). *If so indicated at the time of recruitment. Administration and transparency of the contract and its incidents. Optimization and implementation of your Microsoft platform. Thanks to its broad experience as a Microsoft Partner, Migesa provides coverage for your services under Support Contracts, where the needs of the customer are assessed and flexible schemes are provided to solve your company’s needs. Support Contracts: Policies that protect the implementation of a new solution or work as guarantee of a service; these policies and/or support contracts can be acquired for different terms and cover your Microsoft infrastructure in case of incidents. * This service can be acquired after implementing a solution with Migesa or after assessing the implementation of a Microsoft solution carried out by another Partner. Pay Per Event Support: Expert consulting personnel, available on demand to resolve incidents in your IT infrastructure and systems. Proactive Services (Health Check): Occurs through an evaluation/diagnosis of the health and functionality of your current infrastructure, in order to prevent incidents and plan timely the updates of Microsoft platform your company requires. Managed Services (Outsourcing): Strategy that works to leave in the hands of expert personnel in place a part or all of the administration, operation and monitoring of your IT infrastructure covered under Microsoft technology. Call Center: Call Center personnel assigned to the reception and monitoring of incidents, and/or to the attention of events reported by users or personnel of your company’s IT department. 3, 6 and 12 months. Hours of reactive support in 24/7 scheme. Lync Server + Telephony / PSLP (learn more about this contract).